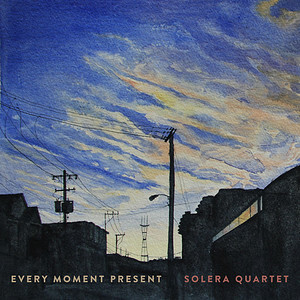 Solera Quartet Releases Debut Album | Kirshbaum Associates Inc.
Today marks the release of Every Moment Present, the debut album from the Solera Quartet. Comprised of three string quartets by Mendelssohn, Janáček, and Caroline Shaw, the album explores the role of obsessive thought as creative muse. II-V: Leoš Janáček: String Quartet No. 2 "Intimate Letters"